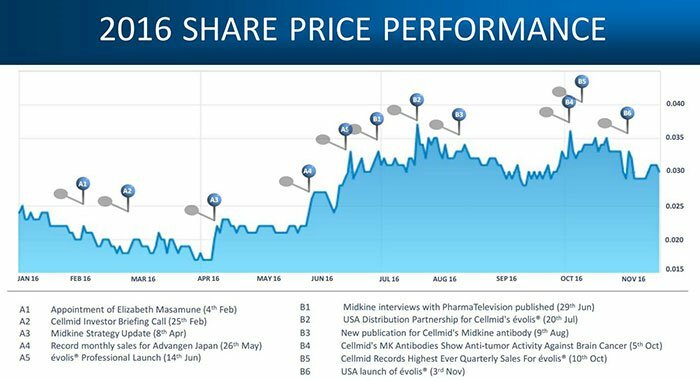 Volume is a key word for life sciences play Cellmid (ASX: CDY). Its key hair loss product Evolis® aims to replace thinning hair with voluminous locks, while management seeks to volumise revenues, stock liquidity, and ultimately shareholders’ returns. The good news for investors is that CDY has seeds in fertile soil. There is always something growing and feeding back into the business, whether through bringing in profits or promoting the Cellmid name as a leader in life science fields. It’s not just hair growth in the company’s sights either. CDY is developing and marketing innovative new therapies for cancer, diseases of the heart, and fibrotic disease. It has also created a large suite of diagnostic assets, which for five years have been licenced to others in the healthcare sector. One of these is already generating royalties, and the others have potential to follow suit. CDY’s consumer health products are seeing broad uptake in the Australian pharmacy and salon market, and have now been expanded internationally into the US and China. The US entry which occurred in November 2016, saw CDY enter a market worth $US3.5BN, where over 80 million people suffer from hair loss. The Evolis® range is sold through CDY’s wholly owned subsidiary Advangen Limited in the US, which sells a distinctive FGF5 hair loss inhibiting product which gives give thinning hair added thickness and volume. Advangen was invited to introduce Evolis® to 250 of the top hair salon chains. Through this deal, CDY is targeting $100M in revenue over seven years in the US alone . In the first quarter of the 2017 financial year, the Evolis® range of hair care products clocked up its biggest quarter yet with a record $1,022,913 in sales – comfortably exceeding its million-dollar sales target. CDY backed up the strong performance in the second quarter, with a cash balance of $5.3M reporting record cash receipts from customers of $1.4M, up 98% compared with the same time last year. 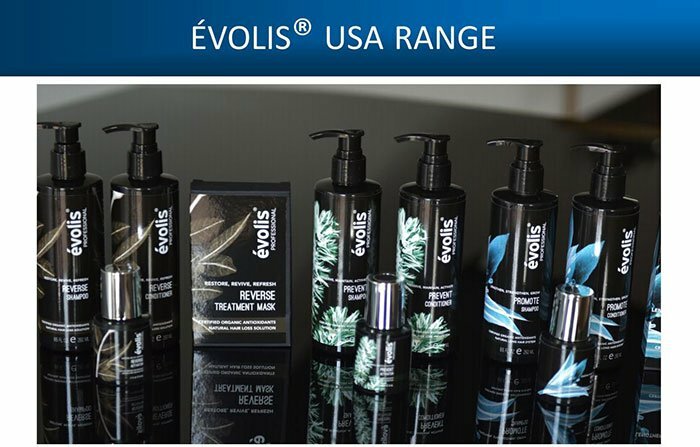 Evolis® is certainly a budding brand on the move noted by its entry into Men’s Health Magazine’s Top 10 Grooming Brands and the increase in Australian stores stocking the product, and if you’re not quick, you might miss how it influences CDY’s potential ascension in the health and life sciences fields. Keep in mind, this is a speculative stock and there’s no guarantees when it comes to share price growth or continued commercial success. Interested investors should seek professional financial advice before making an investment decision. When we first wrote about CDY in 2016, they were bringing in revenues of $1.8M a year. Now they have reported over a million dollars in revenues in a single quarter and from just one product range – the Evolis® range, yet their market cap at $28M seems not to have kept pace with this revenue growth... yet. 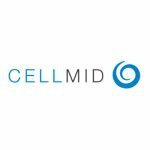 Investors might be wondering about an imminent inflection point for Cellmid Limited (ASX:CDY) in terms of its valuation. From all angles, CDY appears to be an oasis of promising profits just waiting to be properly valued. The company successfully raised $3M at 3 cents in November last year , with a further $1.2M raised through the exercise of options in October. CDY also nabbed a substantial R&D tax credit to the tune of $831,000 . With revenues expected to grow further, thanks to marketing campaigns and online sales capabilities, these bonus injections of cash will add fuel to CDY’s small but raging fire. You can catch the whole story by going back with us in time to our previous articles CDY Sales Up 72%: $100M Revenue Targets in Place , US Sales Unlocked for CDY: Pathway to $100M Revenue in Near Term and $26M Capped ASX Stock Generating Millions in Revenue: US and Chinese Markets are Next . From those articles you can gain a sense of how CDY has outlined a clear vision for its ascendancy in the $90BN global hair care product market , and how it unlocked US sales and created a $100M revenue pathway. The US market could prove quite lucrative for the company and is where many of the potential company boosting advancements could come from. There’s been a range of positive developments for CDY since our last update in September, each affecting different aspects of the company’s game plan. The importance of the US launch of the Evolis® product range can’t be understated. Following three months of pre-launch preparations, the hair loss range was launched to the world’s biggest hair loss market (US$3.5B) on 3 November last year. And they did it with tactical help from key influencers in the industry, who helped expose it as a subject of interest. Products were introduced to beauty editors of fashion and lifestyle magazines as well as bloggers. The range was presented to 250 top US hair salon chains... and CDY secured a major distribution partner in Colour Collective who have over 40 years combined experience in successfully launching and distributing brands in the USA, Europe and Asia for the likes of Revlon, Unilever and Toni & Guy. Product trials and editorial coverage relating to the US launch are scheduled through June 2017. That’s a nice window of Evolis® promotions and potential sales to help push CDY’s balance sheet into the black for the 2018 financial year. There’s plenty of positive coverage out there also. Following a comprehensive US public relations campaign, Evolis® has been featured in The Daily Mail – with an audience of 50 million in the US alone and as stated above was named as one of Men’s Health Magazine’s 2017 Top 10 New Grooming Products. To evaluate the full impact of the Evolis® US market launch, keep an eye out for CDY’s annual sales report in July... it’ll go straight to the top of our reading list as we watch the bigger plan take shape. However, CDY’s most recent quarterly was positive in itself. CDY posted a record quarter up 98% compared with the previous year, as well as reaching $943,000 in sales for its FGF5 inhibitor hair loss products, up 79% on the previous year. Given the money from the excise of the options and the tax incentive, CDY is cashed up for its US assault. The New Zealand based $198.5M capped Pacific Edge (NZE:PBE) has been using CDY’s midkine in its CxBladder test for the diagnosis, prognosis and disease management of bladder cancer since 2010 – bringing in over $1 million revenue in that time. Pacific Edge announced that the test will be used by 10.2 million US military veterans enrolled in the Veteran’s Administration, as well as military personnel at 150 US Department of Defence facilities. Further, Pacific Edge became the Approved Provider to Tricare Health Plan networks in the US. This network provide health care to nearly 10 million (9.4 million to be exact) beneficiaries of the US Military Health system. Partnerships such as this open CDY up to potential revenues to the tune of millions, and more developments will continue to filter through. Of course, any revenues pertaining to this partnership are speculative at the moment and investors should take into account all publicly available information before considering this stock for their portfolio. The first real impact of this partnership will be known when the company reports revenues for fiscal 2017; even more so for fiscal 2018 when a full year’s contribution from the partnership can be assessed. Either way, there’s plenty of positives to keep an eye on there. Why focus only on kicking sales goals when you can own the game? CDY has a strong, smart plan to deliver marketable consumer products – which is key to building up its cash reserves and getting its name out there. But the most strategic card it holds might be its intellectual property, and the creation of treatments and tests for which it owns the rights, and thus receives ongoing royalties. 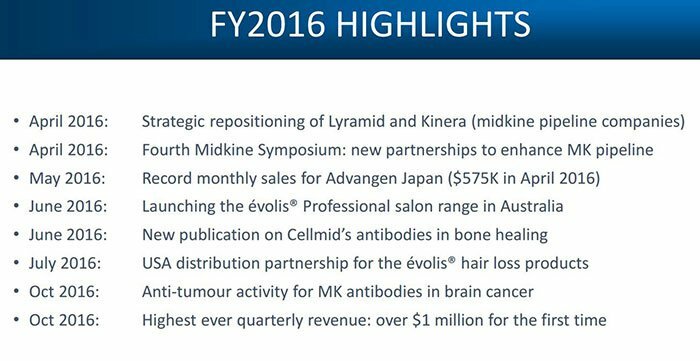 In October, CDY released promising results about preclinical collaborative trials relating to its MK antibodies . The antibodies are produced by its wholly owned subsidiary LYRAMID and are designed to be effective in improving THC (tetrahydrocannabinol) treatment response for brain cancer. The October results demonstrated its efficacy in animal models of cannabinoid resistant glioblastoma multiforme, one of the most common and aggressive forms of brain cancer. 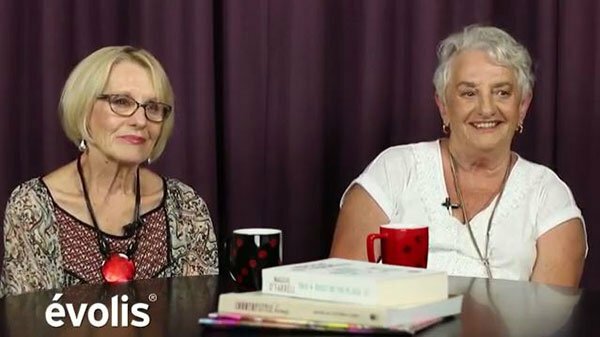 It’s a diagnosis that currently carries a grim prognosis, with very few glioblastoma patients surviving beyond three years. These days it’s generally accepted that cannabis has a range of benefits for cancer patients; but there’s now increasing proof that chemical components s called cannabinoids are potent anti-cancer/anti-tumour agents, including induction of cancer cell death. This development represents yet another positive sign and potential growth area for CDY. And it adds to the already significant IP assets ready for clinical development by LYRAMID. Another Cellmid division, Kinera Limited, was set up to find a solution to the damage associated with heart attacks through a treatment called ‘CMK103’. While it’s humming along in the background, trials and meaningful development could be a way off for this arm of the business. CDY began the first quarter of the 2017 financial year with $1.59 million in cash, including $882,000 in cash receipts from customers – and it reported receiving $1.2 million by the quarter end via the exercising of options. Then on 1 November CDY announced it had received commitments totalling $3 million for new fully paid shares in the Company, at 3 cents per each, as a result of the support from new institutional and sophisticated investors, as well as existing shareholders. Before it hit the bank account, this $3 million boost was already spoken for; its purpose was to assist with the important US launch of Evolis®. Whether this investment of cash will pay dividends remains to be seen, but we have a quiet optimism... if only for the fact that the product has done well elsewhere, and the company has taken significant steps to spread the word in an enormous addressable market. Most recently on the funding front, CDY announced in late November it had received $831,000 from the Australian Taxation Office under the R&D tax incentive scheme for the 2016 financial year. The tax credit provides additional help towards research and development expenditure incurred by its FGF5 inhibitor and midkine programs. Mix the above wins with important commercial developments in CDY’s consumer healthcare business, and you can imagine the company cornering several markets. CDY has the goal of building a substantial salon distribution network of 1,000 pharmacies and 400 salons by June this year – and it has further ambitions for distribution agreements, e-commerce sales and other direct to customer channels in the near future. It’s intriguing to see a life sciences small-cap with so much going for it, at such a modest valuation. Yet being a speculative stock, there is no surety of future success and investors should seek professional financial advice for further consideration. CDY’s business plan is multi-dimensional and somewhat complex (when trying to take a long view of all the different eggs in different baskets), yet its diversity across markets, countries and sources of revenue position it as a genuine threat to its peers. If you’re looking for capacity to volumise, with a double-whammy of immediate revenues and news flow... CDY might be one to keep a close eye on.